While still a common concern for many men and women, hair loss problems can now be managed with the help of several procedures. One of the most effective and widespread procedure is hair transplant surgery, which is a minimally invasive surgical intervention that is used with success in restoring lost hair. If you’re one of the many people in the UK struggling with a thinning top, going to a hair clinic can help you tackle your hair loss problems. With a history of over 30 years and with several other clinics dotted around the country, the Private Clinic has been providing patients the most advanced and innovative cosmetic treatments. Among its varied cosmetic treatment options, hair restoration is one of the most sough-after procedures. The Private Clinic has earned its position as one of the best hair clinics in the UK thanks to their commitment to excellence and innovation. It is also the few clinics in the UK that provides Unshaven FUE (UFUE) hair transplant. Vinci Hair Clinic has several hair clinics around the world and provides exceptional hair restoration services to patients worried about their balding crows. The available treatment options at Vinci Hair Clinic include body hair transplant, beard transplant, FUE hair transplant, FUT hair transplant, and the Vinci Max Hair Transplant, which is a combination of the FUE & FUT hair transplants. 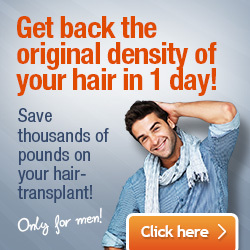 Ziering Medical has among the very best surgeons and hair specialists in the field of hair transplantation. Hair treatments provided by the Ziering team fall into two categories: surgical and non-surgical procedures. Surgical procedures include facial hair transplant, eyebrow transplants, FUE and FUT hair transplant, and robotic FUE. Their non-surgical hair treatments include laser hair restoration, hair loss medications, and Ziering Cover Up spray. Ziering is also the designer of the special Ziering Scope used in microscopic follicular unit grafting. 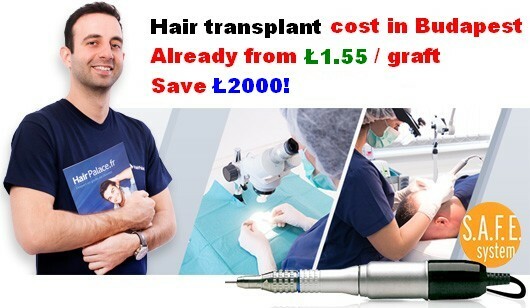 Run by the world-renowned hair transplant surgeon, Dr Asim Shahmalak, Crown Clinic is one of the most successful and famous hair clinics in the UK, and the choice of many celebrities. In 2009, Dr Asim Shahmalak performed the UK’s first eyelash transplant, and since has appeared on a number of television and radio programmes discussing about hair restoration techniques and procedures. Crown Clinic provides FUE and FUT hair transplant, eyebrow and eyelash transplant as well as hair loss products. Located on Harley Street in London, the Rejuvenate Hair Clinic is a prestigious hair loss treatment centre delivering hair transplant surgeries to a wide-range of clientele including high-profile celebrities and sportsmen. At Rejuvenate Hair Clinics, you can get progressive treatments such as the Biofibre Transplant, which involves implanting artificial hair that is biologically compatible with natural hair. FUT and FUE procedures, as well as beard and eyebrow transplant procedures are also performed at this hair clinic.